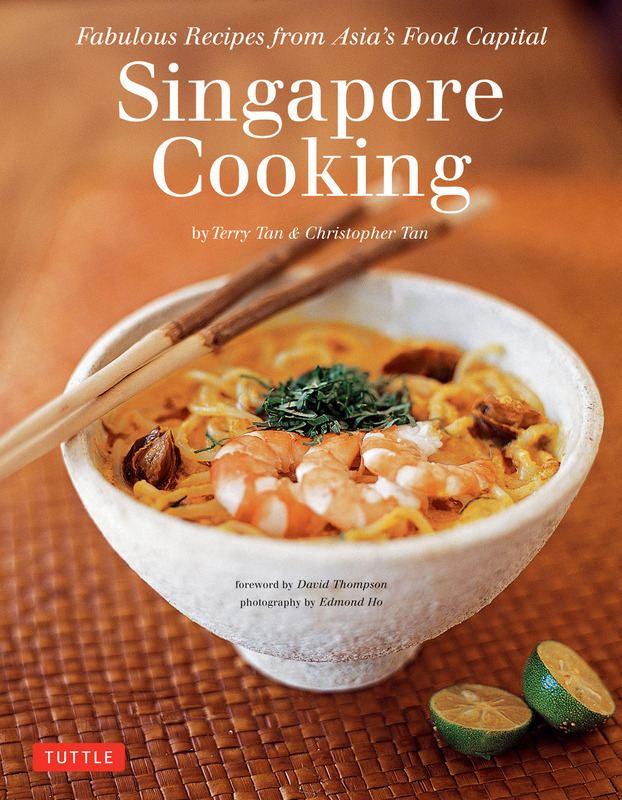 Ang Sarap and Tuttle Publishing is giving away 3 books which contains Singapore Cooking plus your choice of 2 books (worth US$20.00 and below) from the Tuttle Publishing range . Competition is open for 2 weeks and we accept entries worldwide, just fill in your details below to join. There will be one winner the following recipe book Singapore Cooking plus your choice of 2 books from Tuttle Publishing worth US$20.00 and below. The prize of 2 books will be determined from the blog post comment you entered. You will need to choose 2 books under US$ 20.00 from the Tuttle Publishing range and let us know by leaving a comment below. Wonderful give away, really love all kind of Asias cookikg. I would love Chinese cooking made easy and Bake by Allison Thompson. If I were to choose two other books from Tuttle’s catalog, they would be ‘Adobo Road’ and ‘Filipino Martial Culture’. I would love to have “The Food of India” and “Tapas”! Just hopped over to Terry’s website – the guys are peranakans, babas (the ladies are called nyonyas) and the are known for their awesome cuisine. I love nyonya dishes, a cut above the rest. Great range of books, wonderful giveaway. I loved being in Singapore so to win this would be a great reminder. I would love to get my hands on these 2 books: “Jet Black and the Ninja Wind” and “In Real Life”! I would choose Steamy Kitchen Cookbook and My Japanese Table. Please pick me! I collect cookbooks, and this will be a big win for me! Singapore Cuisine sounds so interesting. Wanna know more! i would love to have Happy Homemade: Sew Chic Kids and Tuttle Chinese for Kids Flash Cards Kit Vol 1 Simplified Character. Thank You! Being a chef ,I am always looking for ways to challenge and expand my culinary knowledge.I have always been interested in Asian cuisine. Having a sister living in Beijing i have been searching for “authentic” cookbooks and how to understand and use the many,many unique ingredients from produce to bases.Thank you for your consideration, I look forward to hearing from you.